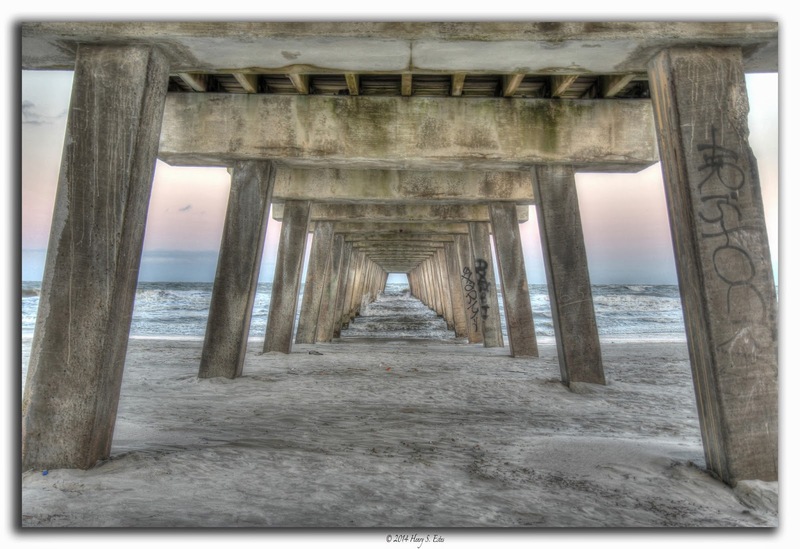 Under the Pier at Tybee. If you would like to purchase this print, please contact me for more information. Various sizes and printing options are available. All orders are printed on Metallic paper, without border or watermark. Note - some cropping may occur in final printing. 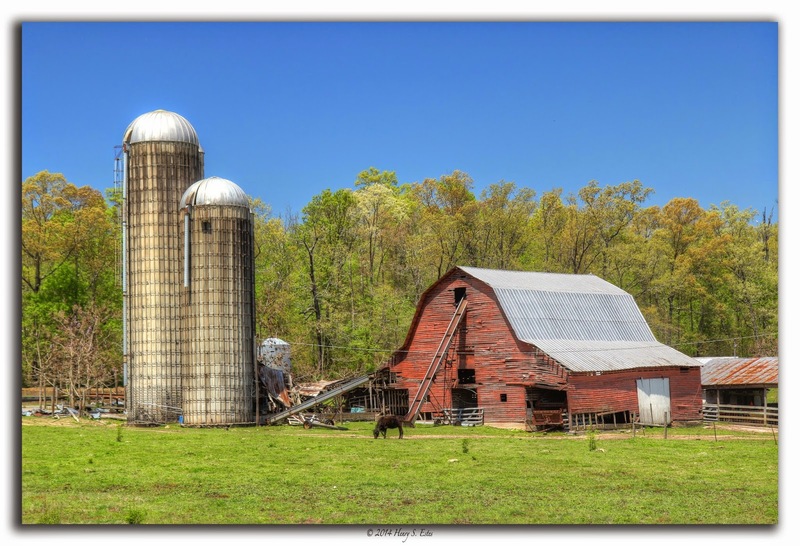 One of the many farms along Cleveland Highway that runs between Dalton Georgia, and Cleveland Tennessee. 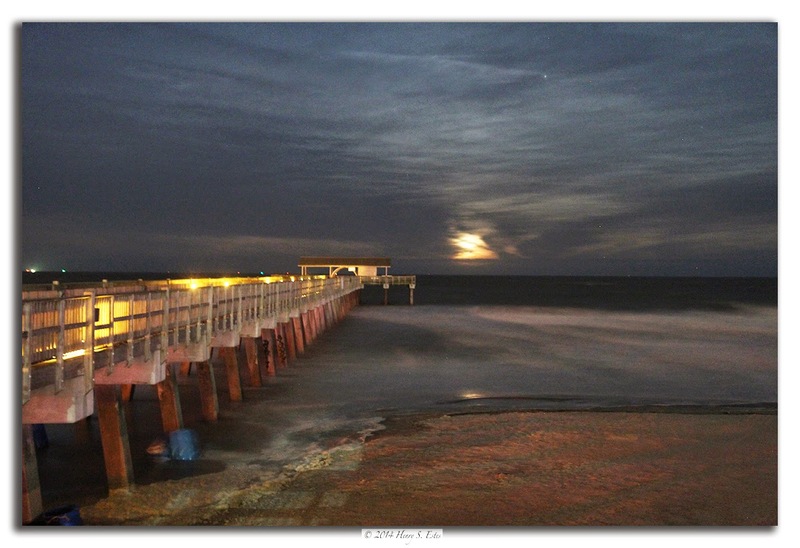 The Tybee Island Pier at moon rise. It was difficult to get this shot focused in and with a 30 second exposure try to capture the moon light and the lights of the pier without over exposing the rest of the shot. One of the many hardwood hammocks in the Savannah Wildlife Refuge. A hardwood hammock is a dense stand of broad leafed trees that grow on a natural rise around costal marshes and the Everglades. 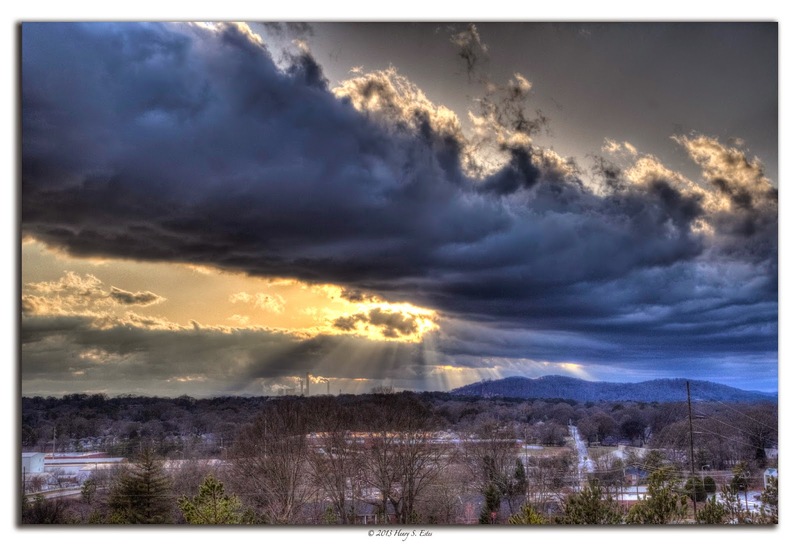 A cloud roll obscures the setting sun, casting rays down across Cartersville, and Ladd's Mountain. 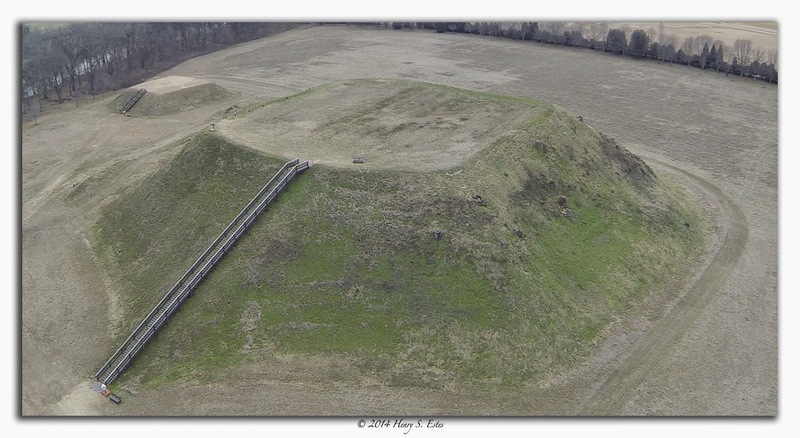 The Etowah Indian Mounds outside of Cartersville Georgia. Mound A in the foreground is 63 feet high and covers 3 acres at its base. Built and occupied from 1000-1550 AD, the site is located along the Etowah river in Bartow county. 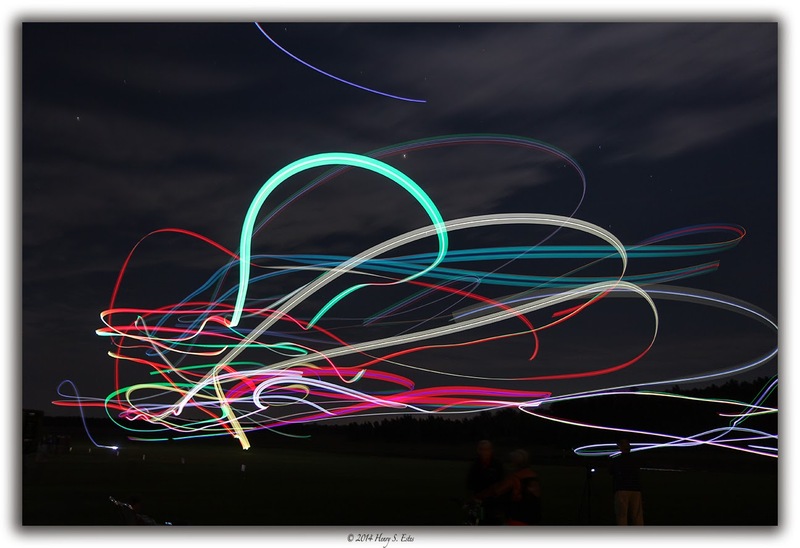 Remote Controlled planes outfitted with LED lights swarm the night sky like fireflys. 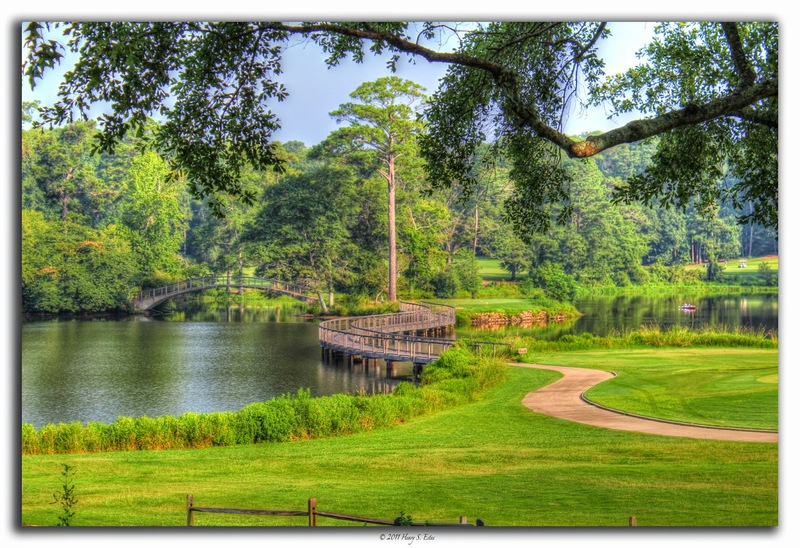 A winding path and bridge along one of Callaway Gardens lakes. 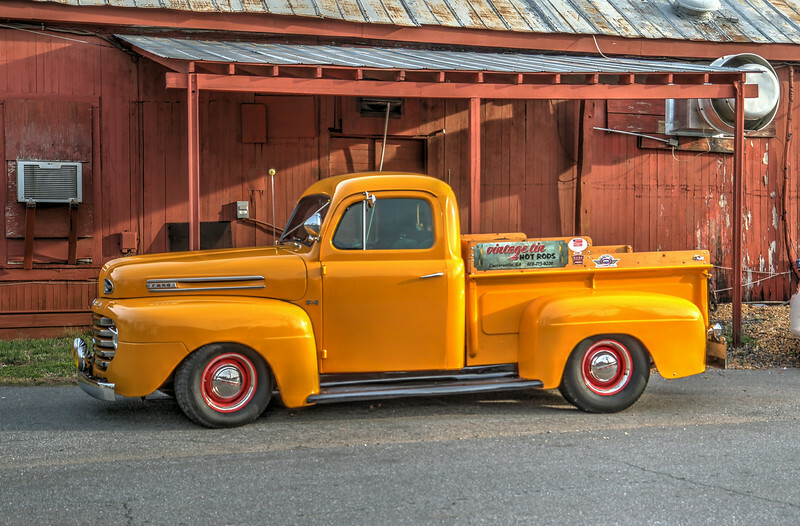 A classic 1948 Ford Pickup truck. 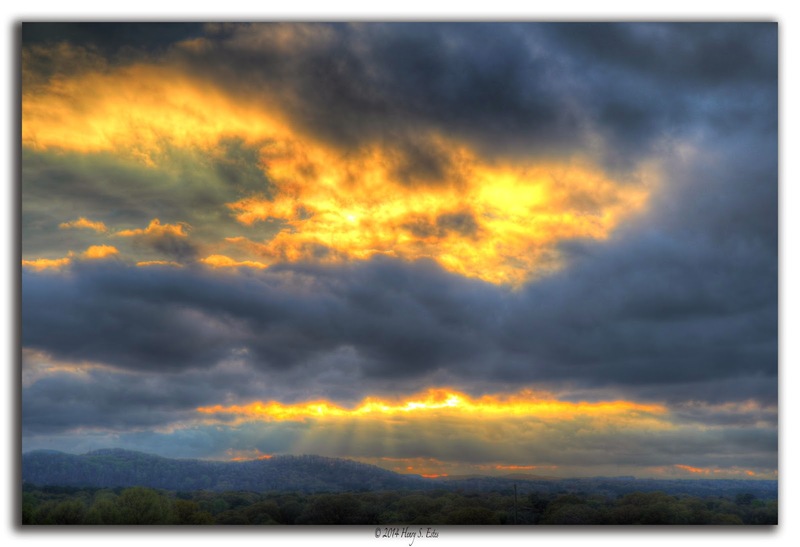 Golden Rays beam down during the golden hour of sunset. The sun lights the clouds and the horizon with reds, oranges, and golds. 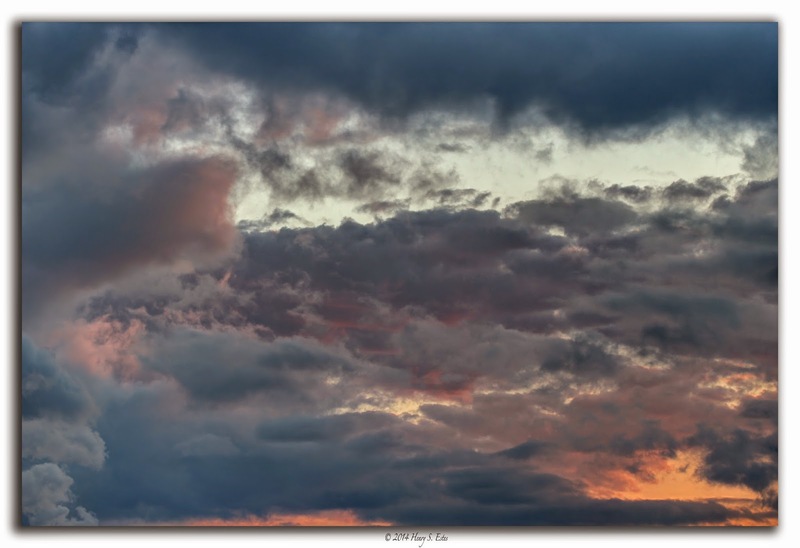 As a storm approaches, the clouds move across the sky in various shapes, hues, and altitudes. 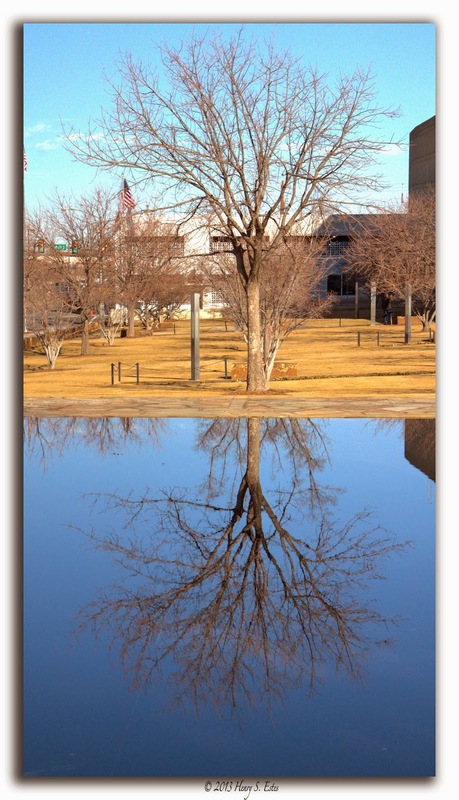 The reflection of a tree in the courtyard area of the Oklahoma City Memorial.